Dedicated GP supervisor Dr Aline Smith is equally committed to supporting her peer supervisors in their teaching journeys. Long-time GP supervisor Dr Aline Smith is not only passionate about educating the next generation of family doctors, but also supporting her peer supervisors in their mentoring role.Having supervised more than 50 registrars in a GP career spanning 30-plus years, Aline is well placed to advise peers on effective and rewarding supervision. The principal doctor at The Village Medical Practice in Summer Hill, NSW, first started supervising in inner-west Sydney in 1992. Aline, who has this year also taken on an academic position at Fairfield GP unit, encourages an all-rounded approach to supporting GP supervisors at The Village Medical Practice. This support includes: a succession of GP supervisors, which ensures ongoing shared supervision; developing processes which streamline the practicalities of supervision; and in-practice continued professional development (CPD) for doctors at all stages of their career. At any given time, the responsibility of supervision is shared between two and four doctors at The Village clinic. “All GPs who come to us have some interest in teaching, which is a very strong focus in the practice,” Aline said. Aline is not resting on the laurels of her well-honed teaching skills; advancing her own learning to help others teach the learner. 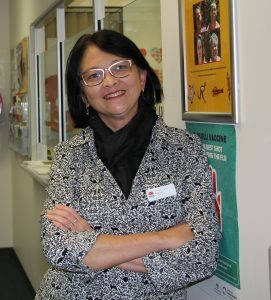 “I am completing a Masters in Health Professional Education and part of that learning is to develop supervision programs for the registrar and practice as a whole, to make sure in-practice teaching is being done well,” Aline said. Aline said The Village’s learning program was successful because it complied with college standards and provided learning opportunities which modelled adult-learning principles. “We encourage the registrars to have a learning plan and bring that to their supervisor,” Aline said. Planned learning is key to effective learning, according to Aline, which is why she is so committed to the practice’s in-house CPD program, and the collaboration of tailored learning plans between registrars and their supervisors. “Unless it’s planned, it’s not going to happen well: one of my biggest tips for other supervisors is to plan your teaching and learning activity before it happens. Whether the registrar is a GPT1 or GPT3, Aline stressed the necessity of a comprehensive orientation to a new practice. “As a supervisor we need to appreciate how stressful it is for a GP registrar to come into a practice. While supervisors may believe more time was needed to orientate a GPT1 coming straight from the hospital system to practise independently, Aline said it was equally important to familiarise more experienced registrars with the uniqueness of their new clinic. Aline said her clinic’s collaborative learning-teaching culture between supervisors, registrars and other practice staff also included registrar-run teaching sessions. “Everyone contributes to learning, whether they are a supervisor or not. Some registrars are very up-to-date on certain topics: for example, we had a registrar run a learning session with other registrars and doctors on sexual health. “We find out what skills we all have and share them in the practice,” she said. Grateful for lessons and values shared by her early mentors, Aline encouraged supervisors to embrace teaching registrars how to deal with the uncertainties of general practice.